Justin moved to Alaska with his family in 1994. He graduated from the Washington State University Doctor of Pharmacy program in 2008. 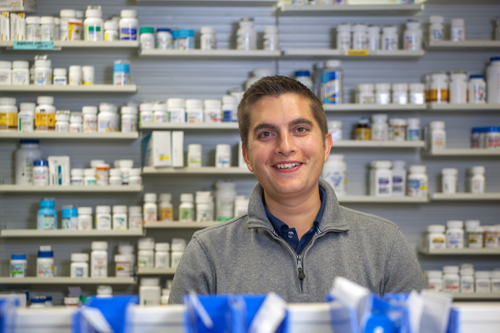 He and his wife then moved back to Alaska, and Justin has been one of our pharmacists since 2008. Justin enjoys the opportunity to practice the many avenues of pharmacy (compounding, immunizations, and much more) at SPP.